Mallory Paint Store is a full line Benjamin Moore retailer. We stock interior and exterior paints, stains, primers, and specialty coatings. We also have a full line of paint sundries such as brushes, rollers, drop cloths, spray equipment, and much more. 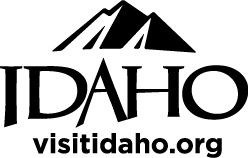 We are a small but growing business that employs more than 90 employees in Idaho and Washington State at 17 locations. Our knowledgeable employees are committed to providing the best quality products and service to our customers.